Nagano, centered in the Japanese island of Honshu (Chubu region), is a land of mountains and rich history. 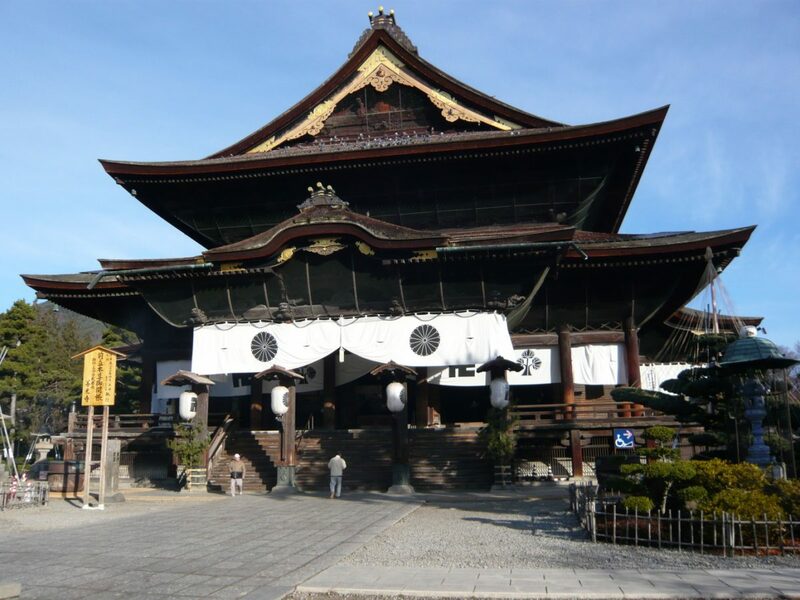 Its capital, Nagano City, grew as a “temple town,” centered on the popular Zenkoji temple. Other shrines celebrate a legend in which the sun goddess hid herself in a cave, making the land dark. The door to the cave was eventually cast into Nagano. The rugged forests north of Nagano City still resonate with the legends and realities of the ninja, skilled warriors of the past. Nearly a thousand years ago, it is said that a clan war in the area caused a young warrior to flee. He learned the ways of the ninja before returning to Nagano, where he established the legendary Togakure School. In modern times, Nagano again invited “warriors” of great skill when it hosted the 1998 Winter Olympics. In fact, the Hokuriku Shinkansen opened in October 1997, just in time for the games. Would you like to experience all that Nagano has to offer? Consider this handy travel guide, and start planning your next Japanese vacation today. 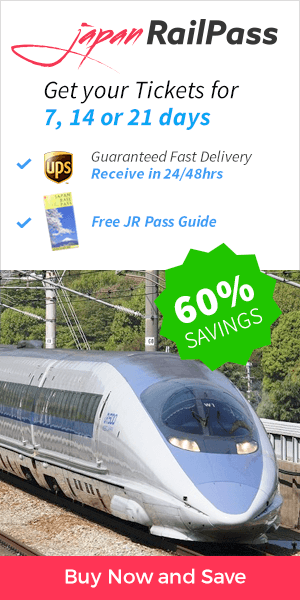 You can use your Japan Rail Pass to easily travel to Nagano from Japan’s major cities. From Tokyo Station, take the Hokuriku Shinkansen from Tokyo Station or Ueno Station. The fastest train is called Kagayaki and operates at 260 km/h and the trip lasts approximately one and half hours. From Kyoto Station, take the Hikari train using the JR Tokaido Shinkansen Line to Nagoya. In Nagoya, you will transfer to the JR Shinano limited express train to Nagano. This train runs hourly, and the entire trip takes about four hours. From Shin-Osaka Station, take the Hikari train on the JR Tokaido Shinkansen line to Nagoya. In Nagoya, transfer to the hourly JR Shinano limited express to Nagano. This trip also requires around four hours to complete. When traveling by train, you will arrive at Nagano Station. From the station, you have a number of options for traveling to nearby attractions. Rental cars are available, as well as buses that run frequent routes to the Zenkoji Temple and former Olympic facilities. Other sites are within walking distance of these. The Togakushi area is located about an hour by bus from Nagano Station. Once there, able walkers can use hiking trails to visit the area’s attractions, which are spread across several kilometers. Nagano’s main temple, Zenkoji, is one of the most popular temples in Japan. Buddhism entered Japan during the 500s, and the Zenkoji temple was founded within its first 100 years. It contains the first statue of Buddha ever brought to Japan. While the original statue remains hidden, a replica is placed on display once every six years. The next showing of the statue will take place in 2021. The temple also contains an underground passage, through which visitors can pass in complete darkness, seeking to touch the “key to paradise.” A pagoda behind the main hall contains the Zenkoji History Museum. The Togakushi Shrine is located in the mountains north of the city. The term Togakushi means “hiding door,” referring to the stone door behind which the sun goddess was said to have hidden. The shrine consists of an upper, middle, and lower portion, connected by hiking trails and stone steps. The shrines feature interesting architecture, beautiful ponds and waterfalls, and sacred trees that are thought to be over 800 years old. Families will enjoy the ninja-themed attractions of Togakushi. Beginning in the 1100s, this area was home to the Togakure Ninja School. Mount Togakushi hosts the Kids Ninja Village, where children and adults alike can experience ninja training. The theme park features obstacle courses, hands-on blow dart and ninja star activities, and optical illusion rooms. The Togakure Ninpo Museum, Museum of Togakushi Folklore, and the Ninja House are located near the Upper Togakushi Shrine. These museums illustrate the life of the ninja through photographs, exhibits of tools and weapons, trap doors, and secret passages. Art enthusiasts should make time for a visit to the Nagano Prefectural Shinano Art Museum and Higashiyama Kaii Gallery, which feature rotating exhibits of art related to the prefecture and its artists. Olympics enthusiasts will be pleased to see remnants of the 1998 Olympic Winter Games scattered about Nagano City, used today as venues for concerts and sporting events. The M-Wave building houses the Nagano Olympic Museum and an arena. Other facilities include the Olympic Stadium, White Ring, and Big Hat, all of which hosted events during the Games. The Jigokudani Monkey Park, 36 km to the east of Nagano, is also a popular day or half-day trip. Here, you will be able to see the bathing snow monkeys and how they live and enjoy their own onsen. Finally, Matsumoto Castle is a popular day trip from Nagano, as it is less than two hours by train on the JR Shinonoi Line. Also known as “Crow Castle” for its black exterior, it is one of Japan’s historic castles along with the Himeji and Kumamoto ones and listed as a National Treasure. And don’t forget that Nagano is excellent launching point to the Japanese Alps and nearby onsen and ski resorts! What legendary sights will you experience in Nagano? With a JR Pass in hand, the adventure is yours.